The Pipe and Glass is first and foremost a friendly pub where you can grab a sandwich and a beer. For a relaxing pint, a glass of delicious wine, or a nightcap at the end of a long day, our welcoming bar is just the place. 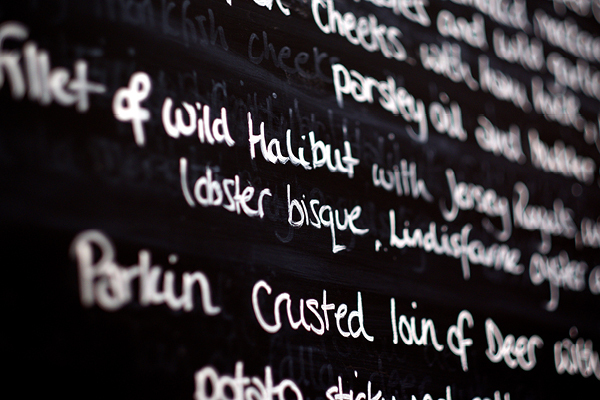 There’s a great range of hand-pulled ales (included our very own Two Chefs), wines from our award-winning wine list, and spirits – and you can order food from the same menu that’s on offer in our restaurant. 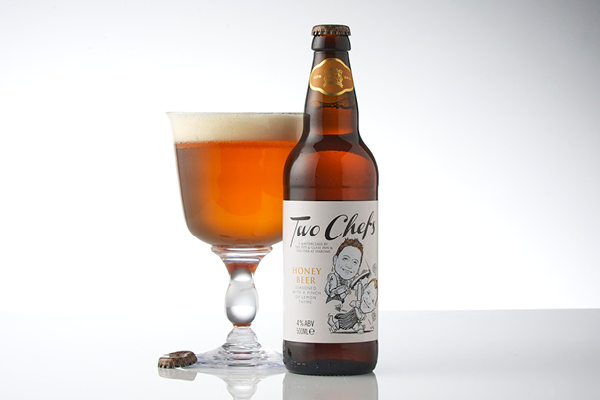 Yorkshire nectar – Two Chefs ale was developed by James and his old pal Andrew Pern, from the Michelin-starred Star at Harome, and is produced by the Great Yorkshire Brewery. This superb 4.0% golden beer is brewed with local Yorkshire honey and seasoned with a pinch of lemon thyme for a citrusy, herby brew with complex undertones. 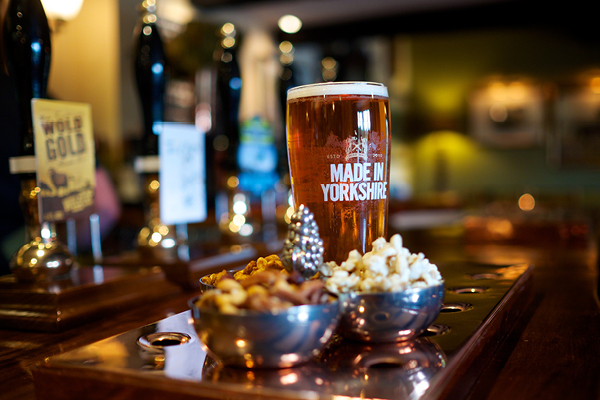 Enjoy hand-pulled in our bar, or take a few bottles home from our shop. A spiced winter version (draught only) is available in the bar during the colder months. 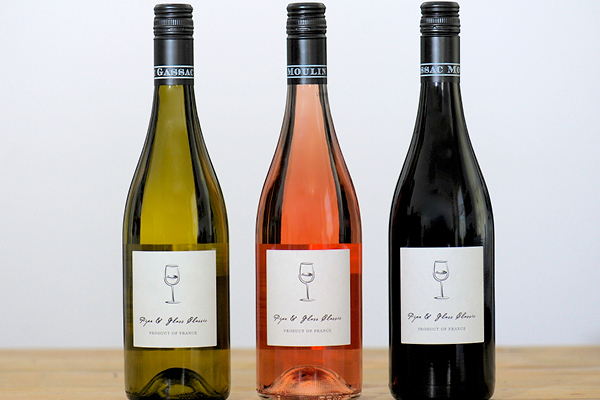 We have an exceptionally fine range of wines at the Pipe and Glass, including our own range of house wines sourced directly from the Mas de Daumas Gassac vineyard in the south of France. We were delighted to be the first winners of the Wine List of the Year category at the Budweiser Budvar Top 50 Gastropub Awards 2015. 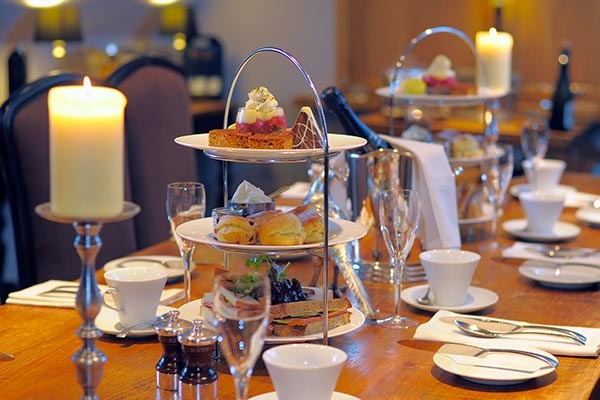 Delicious sandwiches, feather-light scones topped with jam and cream, tempting cakes – what could be more civilised and English than a traditional afternoon tea? Enjoy it in our intimate first floor private Hotham Room, or in our bar. Perfect for a celebration, get-together with old friends, or even an unusual business meeting. Available Tuesdays to Saturdays: for between six and ten people in the Hotham Room (advance booking essential); in the bar, afternoon tea is served between 2 and 5pm (we do not take bookings in the bar). 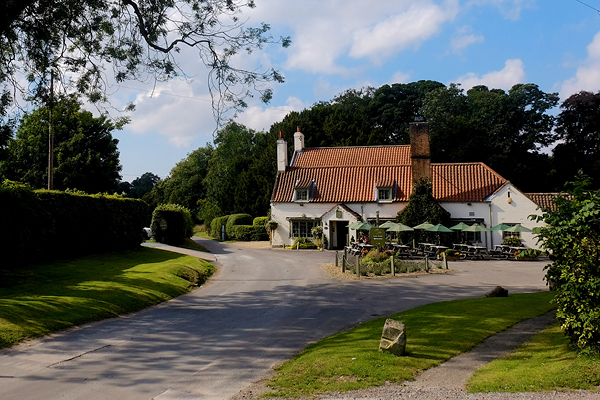 On a warm summer’s day, there can be no nicer place to eat than outside at the Pipe and Glass, which is set in the glorious surroundings of the historic Dalton Estate. We can seat up to 40 at shady picnic tables in front of our friendly bar – it’s the perfect place to relax, enjoy a drink or meal, do a bit of people watching, enjoy the busy bird life around here, and even log the occasional tractor going by!